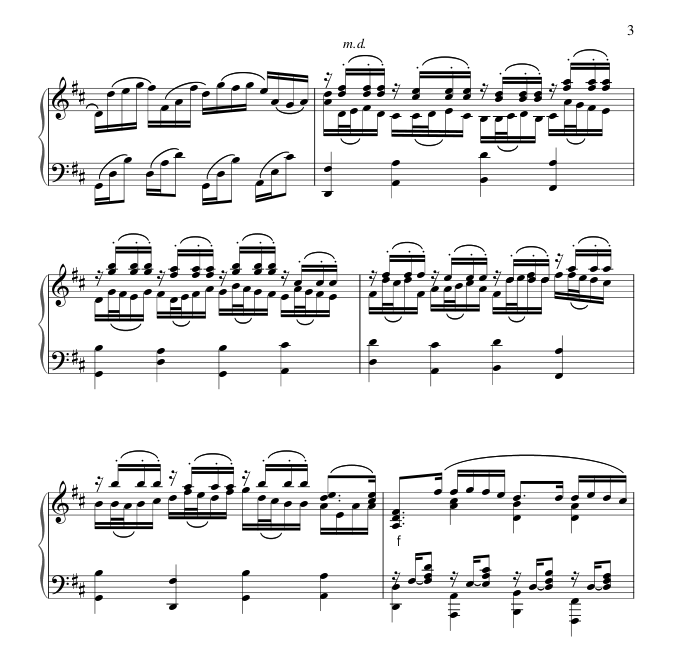 I am not quite sure how to play best the upper two voices of measures 2 and 3 in the picture below in a piano arrangement of Pachelbel's Canon in D. My first idea was to use the left hand and play the meldoy with my right hand, but it says "m.d." which I assume means "right hand". Any suggestions? As this is an arrangement I would arrange it in a way I can play it. (I really doubt that this is a good transcription). I‘d play the notes marked m.d. with the left hand and the chord on the 1st beat with the right hand (3th 8va). "M.d." would mean "main droit" or "mano destra" (right hand). Either the arranger has intended those notes to be played with the right hand, or they have made a mistake and what they really meant was the left hand. How do I play these broken chords on a piano? What is this music symbol and how to play it? How to play two voices with a large range in the same hand?